Mary Tran, Associate AIA, visited Devon Forest Elementary School in Goose Creek last Friday to speak with 5th grade students about a career in architecture on Career Day. Mary had a great time with the students and was as excited to be there as the students and faculty were to have her. She spoke to six classes of 25-27 students lasting 30 minutes each. She spoke in one classroom the entire morning and classes rotate sessions to learn about her career. She talked to students about the general field, what kind of educational and background experience is needed for a career in architecture, what a day on the job is like, her interests and more. Toothpicks and clay were pervaded, and students were encourage to design whatever they wanted using the materials. The only rule was their structure had to stand up. The students enjoyed created their models, which they got to also take home. Mary enjoyed interacting with the kids and answering their questions about architecture. “I wanted to be an architect when I was in 6th grade but I talked myself out of it because I didn’t know exactly what architecture was or how to become one. Mary likes educating students about architecture and feels it's important to be an advocate for her field. Mary says, "The kids are so bright and creative. I really enjoyed being there!" 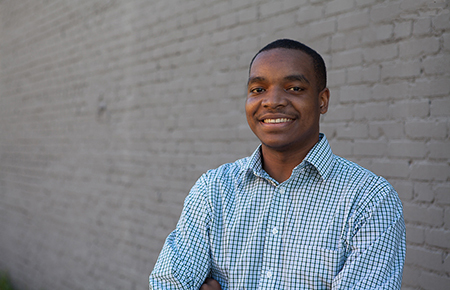 During his time at Clemson, Rayshad Dorsey interned for Radium Architecture, Paragon Construction and Liollio Architecture. CLEMSON — Founder. Leader. Graduate. These are just a few of the words that describe two students who are receiving their diplomas Friday from Clemson University’s School of Architecture. Rayshad Dorsey and Brayton Gregory made the most of their time at Clemson by getting involved and excelling in the classroom. This fall, the two will pursue their master’s degrees from Harvard University’s Graduate School of Design, and both will be attending on full-ride scholarships. Harvard’s graduate program was recently ranked best in the country by DesignIntelligence. A native of Georgetown, Dorsey grew up in a rural community where he and his mother lived in a mobile home. At age 4, she gave him a Lego set, and since then his interest in architecture continued to grow. With her continuous encouragement, Dorsey immersed himself in the world of design, and as a high school senior he had the opportunity to visit Clemson. “I was exposed to the everyday life of an architecture student and fell in love with the program. I felt at home at Clemson,” Dorsey said. During his time as an undergrad, Dorsey took advantage of the services that were offered to him, such as advising, academic success tutoring and the Writing Center. And while the opportunities for academic success were readily available to him, Dorsey realized there was something missing from campus: an architecture organization for minorities. As a sophomore, he decided it was time to change that, and in the spring of 2014, he co-founded Clemson’s chapter of the National Organization of Minority Architecture Students (NOMAS). Designed in collaboration with Clemson University NOMAS for the Barbara G. Laurie Student Design Competition, Fall 2016. “NOMAS continued to open doors for me. I attended two national conferences and had the opportunity to be a project manager for the national Barbara G. Laurie design competition,” Dorsey said. The two-time recipient of the American Institute of Architects Grand Strand Scholarship served on the Student Affairs Student Advisory Board and the School of Architecture’s Student/Faculty Advisory Board. He received the Ray Huff Award for Excellence, Clemson Architecture Center in Charleston’s highest recognition for achievement, and, most recently, the College of Architecture, Arts and Humanities bestowed him the Blue Key Award, which is given annually to a student who has distinguished themselves in terms of academic scholarship and campus leadership. Now, Dorsey prepares for his venture to Cambridge, Massachusetts, to continue his education. What will he remember most about Clemson? While Dorsey and Gregory are both accomplished Tigers who will be attending the same graduate school, their paths getting there were different. A Greer native, Gregory grew up a Clemson fan. “The Necessary Library” designed by Brayton Gregory during his studies in Genoa, Italy. In 2013, Gregory had the opportunity to attend his first conference as an undergraduate in Chicago. It was there he was introduced to the American Institute of Architecture Students. Being able to create connections with architecture students from around the world, he began building a strong network and the organization became one he truly believed in. The following fall, Gregory decided to run for a position in the institute. He won, and as membership chair he was able to further advance his skills and connections with others on campus and beyond. In 2016, Gregory assumed his position as president. Over the past year, his chapter was recognized as one of the largest and fastest-growing chapters in the South. Gregory’s research has been presented at the National Conference for Beginning Design Students. Throughout his undergraduate career, Gregory also served as an undergraduate research assistant and became an active volunteer through his involvement with Pi Kappa Phi. Gregory’s ambition and dedication to his craft and campus did not go unrecognized. He is the recipient of the Phi Kappa Phi Certificate of Merit, which is given annually to an outstanding student with a 3.5 or higher grade-point average who has made noteworthy contributions to Clemson. He also won the Alpha Rho Chi Medal in Architecture for his professional merit, ability to lead and performing willing service to the school. Why do buildings fail during natural disasters and what will the future of architecture look like in the face of increasing risk? After 10 years of disaster response and recovery nationwide, the AIA Disaster Assistance Program shared emerging research and personal lessons from the third edition of the AIA Handbook for Disaster Assistance. This seminar focused on why buildings fail, how risk is increasing, the impacts of land use and building codes, and more. Stories from the field explored the impact of natural hazards and the pitfalls and opportunities in practice and community engagement. 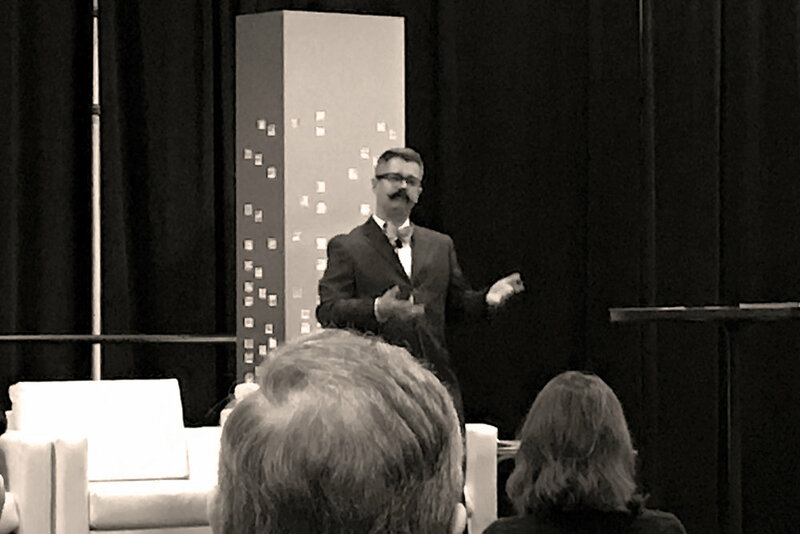 Liollio's Aaron Bowman, AIA, (pictured above) was one of the speakers discussing Disaster Preparedness at the 2017 AIA National Convention last month in Orlando FL. A few more images from the USCB Hilton Head Hospitality Management Facility Groundbreaking that took place February 10. Principal Jay White & Associate Principal Andy Clark were in attendance. Liollio Architecture hosted students and mentors from the St. John’s High School ACE Program at our office on Tuesday. The students spent the morning getting a first-hand look into the day to day workings of an architecture office. They participated in a project-based learning exercise that guided them through sketching three dimensional objects in plan, section and elevation. They then continued work on their semester project to design a new wrestling facility for their school. Thank you to everyone involved for it a fun and memorable day!